London pop crafters Bastille haven’t stopped ascending since their 2013 breakthrough LP, Bad Blood, but even the quartet’s less publicized efforts are still marquee ambitious. Take the group’s mixtape, VS. (Other People’s Heartache, Pt. III) , which witnessed the band tackle electro, hip-hop and industrial via HAIM, Lizzo and Angel Haze tracks. 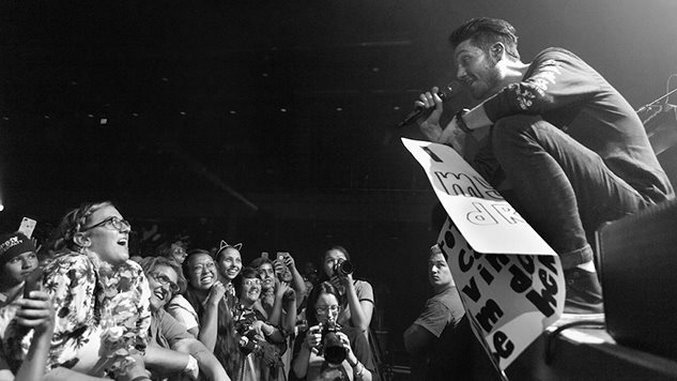 Last year’s sophomore effort Wild World reinforced that group’s teflon beats, synth blankets and lead singer’s R&B melodies, captured in singles “Good Grief” and “Blame.” Bastille recently played at The Filmore in Philadelphia, where photographer Sarah Midkiff captured their booming show in the gallery above.